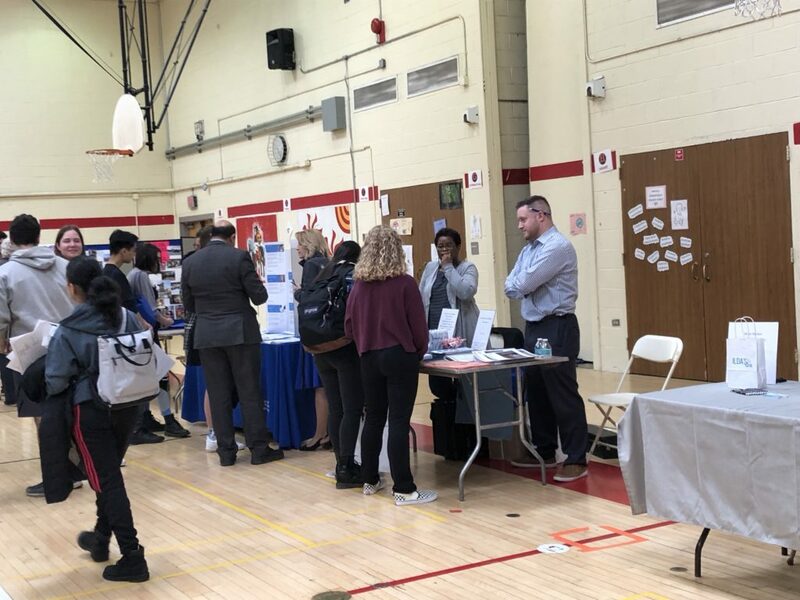 This year, Kids’ Club worked with the Sleepy Hollow High School Guidance Department to expand its annual College Fair to include a Career Fair, too. The goal was to showcase various professions that do not necessarily require four year college degrees. This morning, 13 companies representing over 20 professions (such as plumbers, electricians, veterinary technicians and beauticians, etc), joined dozens of college and university reps in the gym to speak with sophomores and juniors about post-high school options. Feedback from the guidance staff, faculty and students was very enthusiastic, and the expectation is that this will become an annual event. Thank you to the presenters and all who contributed to this very successful College and Career Fair at SHHS.